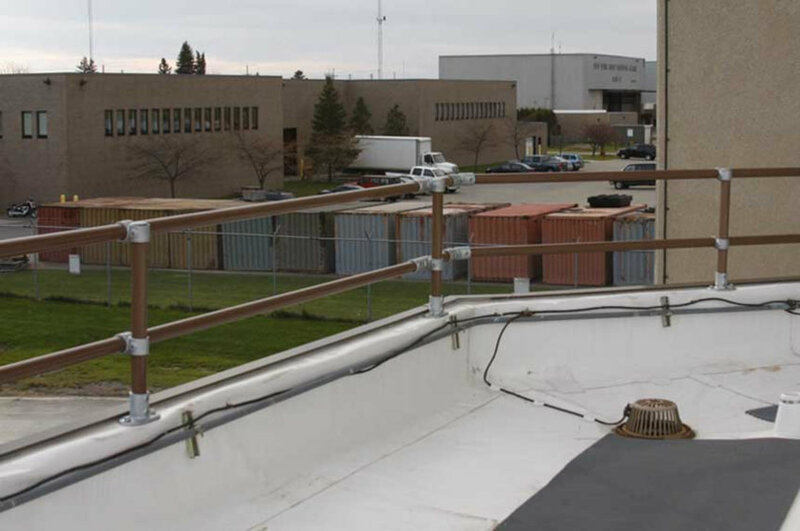 Designed to exceed all OSHA requirements, our railing is specially designed for each roof to be safe and compliant. 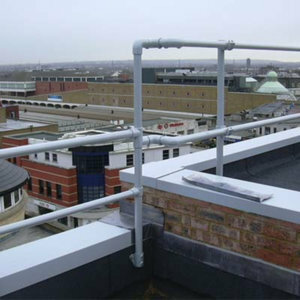 Parapet railing is one of the most cost effective options when compared to welded or freestanding railing. 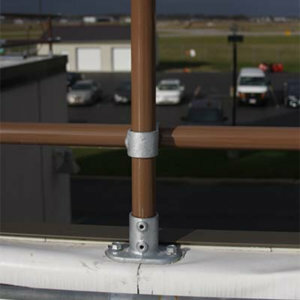 For most structures, connecting railing to a parapet prevents the need for costly openings into the roof membrane. 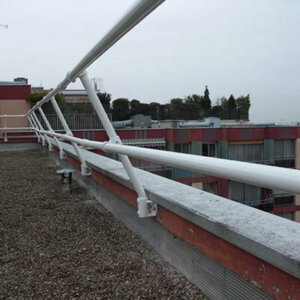 We are here to help design a railing that is perfectly fitted to your roof. Need it installed too? No problem. Longevity is important when considering a safety-critical investment. 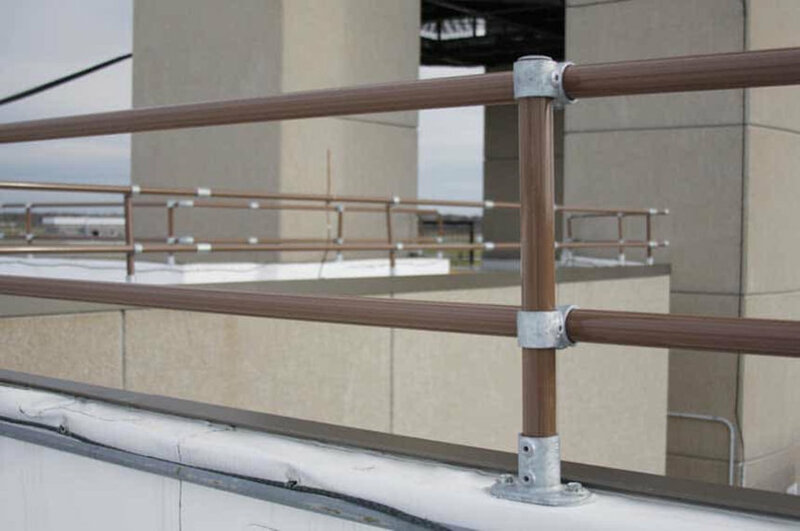 With no weld-points that are susceptible to rust, our railing is designed to outlast welded railing and keep people safe for decades. Aesthetics and worker safety doesn't have to be at odds. 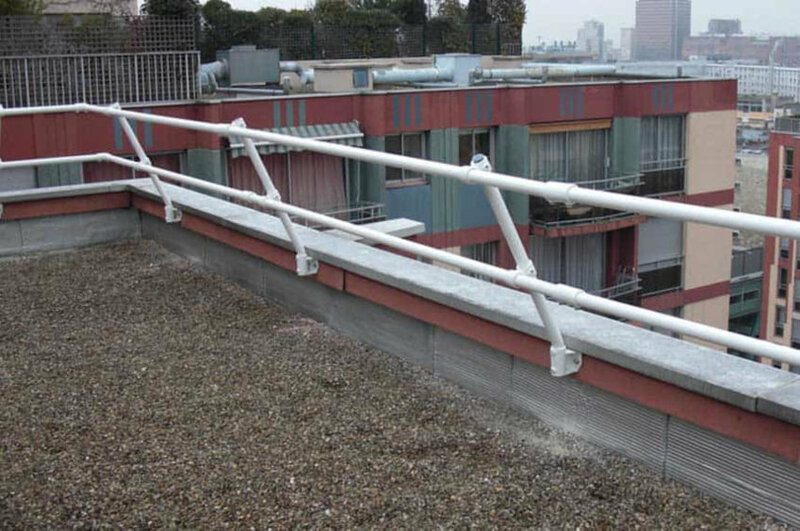 Designed to fit perfectly to your roof, with several mounting and color options, our railing can look like a natural extension of your building without compromising on safety. We aim to make your project painless. From design, to shipment, to installation, we aim to move your project forward, meeting or exceeding deadlines. 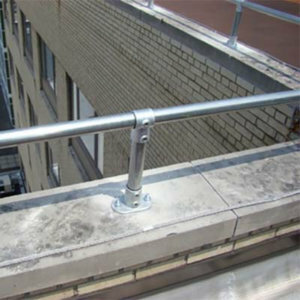 Our modular system allows us to design a parapet railing to fit your exact needs. 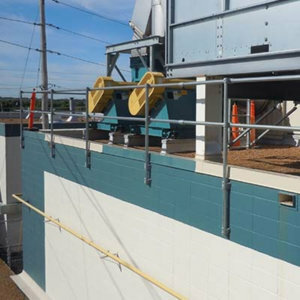 Our parapet railing requires no special labor or tools to install, making it one of the most cost effective permanent solutions. A crew of 2-3 workers can install as much as 600lf in one day. 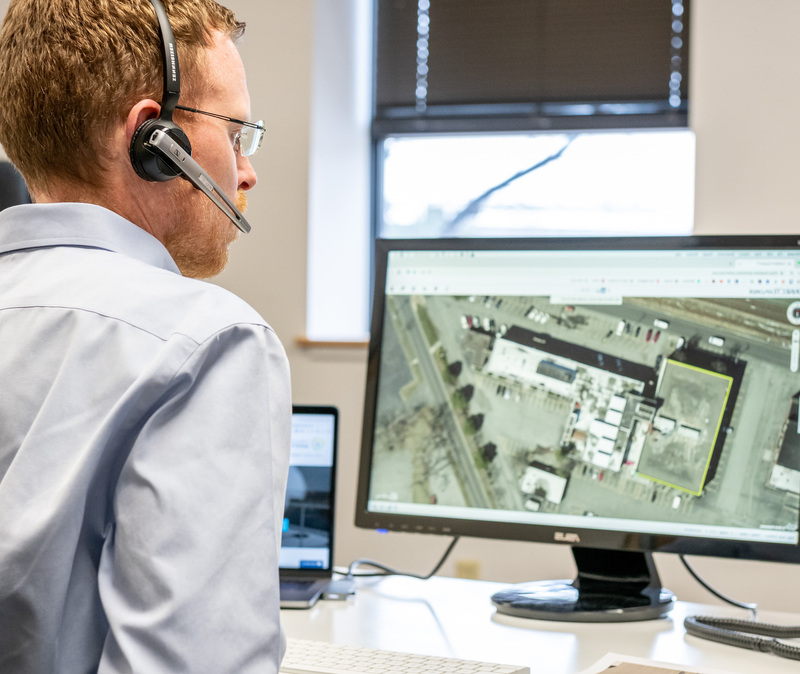 Simplified can assist your team from a distance with drawings, installation instructions, videos, and even video conferencing. Let us help you have a successful self-installation! Want some expert oversight? We are happy to travel to your site, train your installers, supervise the entire installation, and certify that it was performed correctly. Want only one of those services? No problem, Simplified Safety has your back. If you would rather we handle your project from start to finish, we can take it from here. We will deliver the product to your site, lift it to your roof, comply with your internal safety protocols as well as all other regulations, install the system, and leave you with the peace of mind that your company is protected from unnecessary liability. Have You Considered All Your Rooftop Hazards? Fall protection doesn't end with guardrails. Dive deeper with our Fall Protection Specialists. 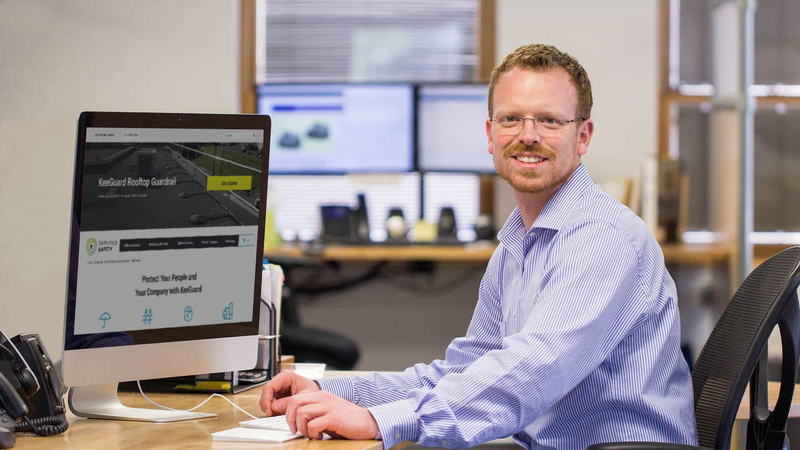 We will analyze your roof together using satellite imagery to ensure all fall hazards are protected and Federal OSHA and local building codes are compliant. We want to make sure you have a comprehensive solution. 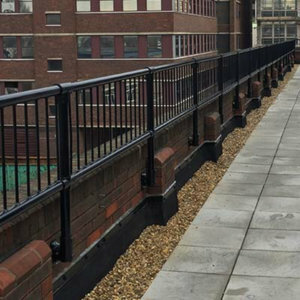 Quote on Parapet Safety Railing?